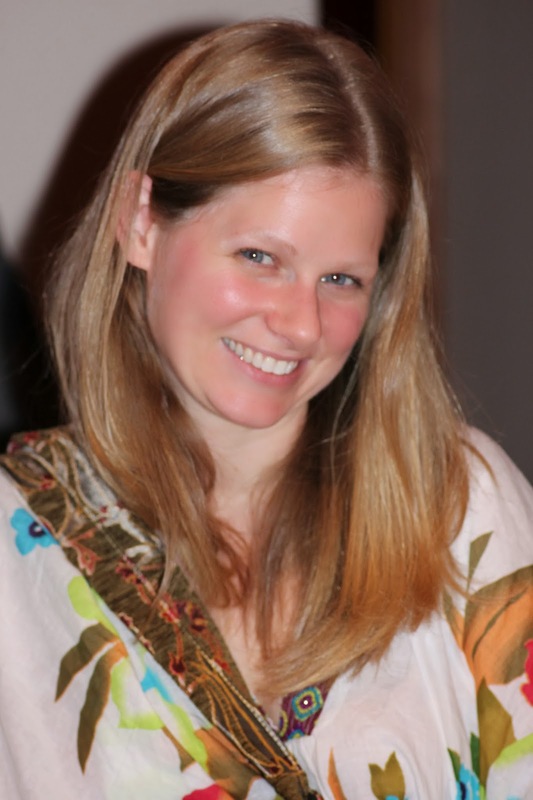 Beautiful Jolie, our bread baker. This picture captures how happy we were to be together that night! 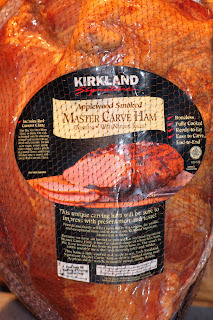 For our Christmas dinner test run, we used a Kirkland Signature Applewood Smoked Master Carve Ham from Costco. 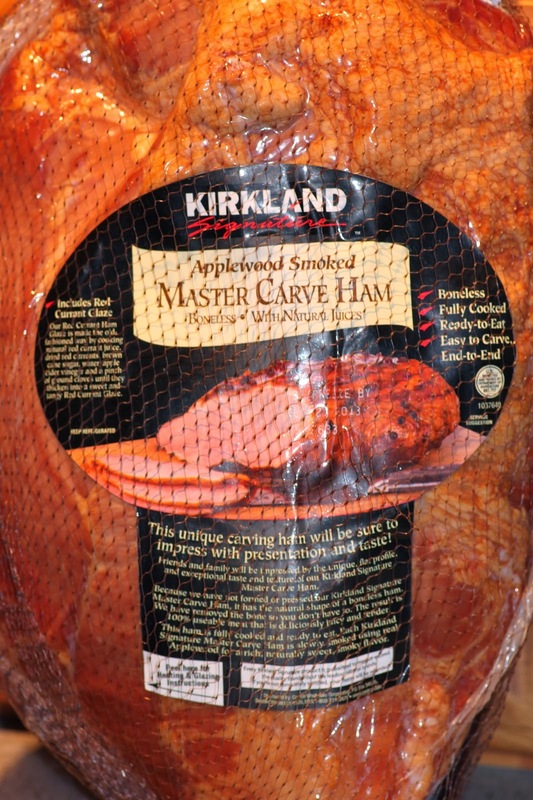 This is my favorite ham because it's boneless, fully cooked and can be sliced for sandwiches or quickly heated up, just 10 per minutes per pound at 350 - much quicker than a bone in ham, and stays so moist and delicious. 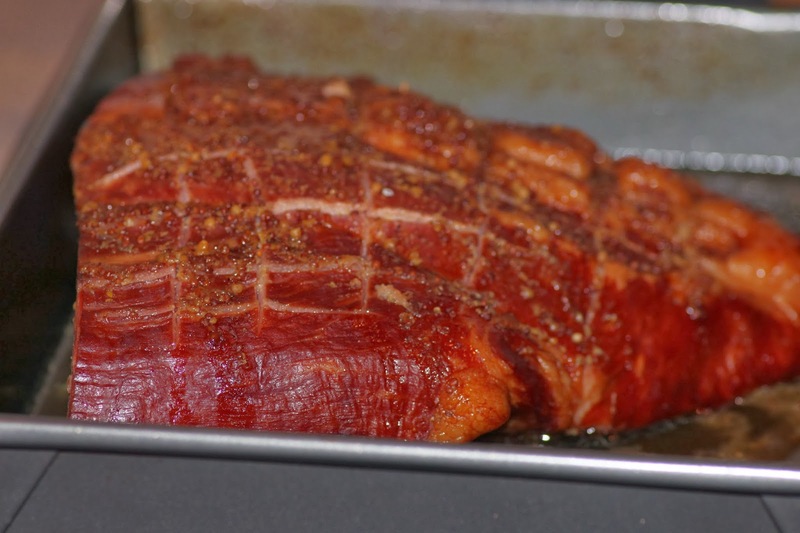 The rich, naturally sweet, smoky flavor of this ham will win everyone over. It comes with a really good red currant glaze, but Rachel treated us to her famous mustard glaze we've all come to love. The next day I made my mother-in-law's raisin sauce to go with our leftovers (glaze and sauce recipes below). Combine all ingredients in a sauce pan and warm over low heat until smooth. It should be a fairly thick consistency, like honey. 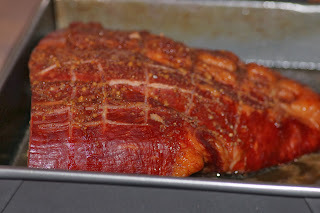 Spread about half the sauce over ham during the last 30 minutes of cook time. Thin the remaining sauce with a little more cider and serve on the side for those who want a little for dipping. Serve the sauce very hot over ham. I LOVE that pic of Jolie. True Beauty right there! 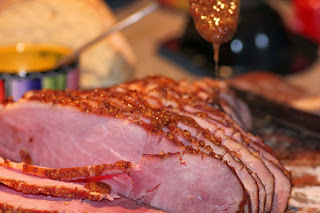 I'm so doing this ham glaze and the raisin sauce has been tradition in the Child fam forever...my grandma passed it down to my mom. SO delish!